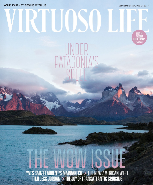 Virtuoso Life is an award-winning magazine published six times a year that features luxury travel experiences, tips and insight from Virtuoso advisors in each issue. 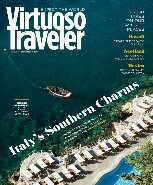 Virtuoso Traveler offers a mix of travel opportunities, insider tips and expert advice from Virtuoso's premier network of travel consultants to welcome new travelers to the world of Virtuoso. Virtuoso Best of the Best is a guide to the world's best hotel experiences published exclusively for the clients of Virtuoso member agencies.